...to Roller Coaster Called Life, the fanlisting for the awesome television show, Boy Meets World, listed at the fanlistings network, under the TV Shows category. 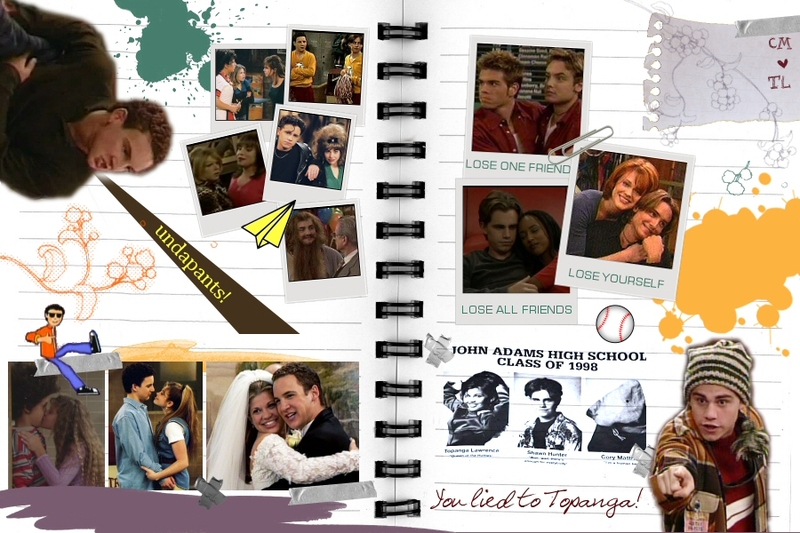 Cory (about Topanga): She goes away for the summer and comes back a woman. Shawn: Yeah. Kinda like Coach Franklin. This site is not affiliated in any way with Boy Meets World, its cast or crew. No infringement intended.